Description: Triangular pennant. White field with red fly edges. 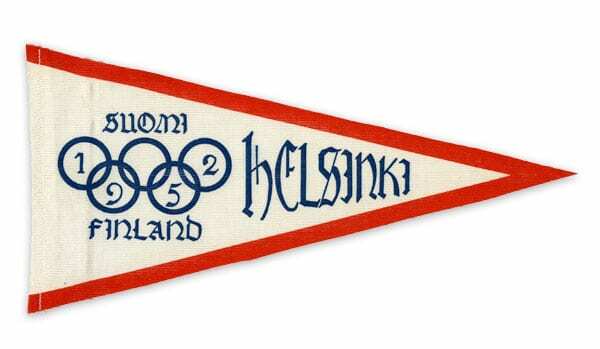 The Olympic rings in blue and the text: 1952 SUOMI FINLAND HELSINKI. Ribbon line at the left edge.